Welcome to Sceptre's Blog – Page 2 – Technology News, How-to's, and Announcements! Technology News, How-to's, and Announcements! We had so much fun with you all during the Summer invitational, that Sceptre is pleased to announce that we will be joining you again as the fierce competition comes to a head during the Fall Masters event on November 12-13, 2016. Join us as a battle of wits and carnage is waged between such talented teams as Cloud9, Godsent, Team SoloMid, Renegades, FaZe Clan, Immortals, Echo Fox and TyLoo in order to seize the majority of a $100,000 prize pool. The stakes will inevitably increase because the top four teams will progress to iEM Oakland from November 19-20, which will offer a stunning $300,000 prize pool. As the stakes increase, spectators will also have a chance to win a bounty of prizes. The popularity of the iBP games has only increased in recent years, so much so, that they are now being webcasted and even televised live on prominent networks such as TBS and TNT. So if you are a passionate gamer and/or spectator, check out the event on the tube, online, or come on down to The Hangar at the Orange County Fairgrounds in Costa Mesa, CA for the most immersive experience. When you buy a weekend or premium ticket for the event you will receive iBP merchandise, access to team signings, not to mention, free entry into a ton of the raffles, Sceptre raffle included. 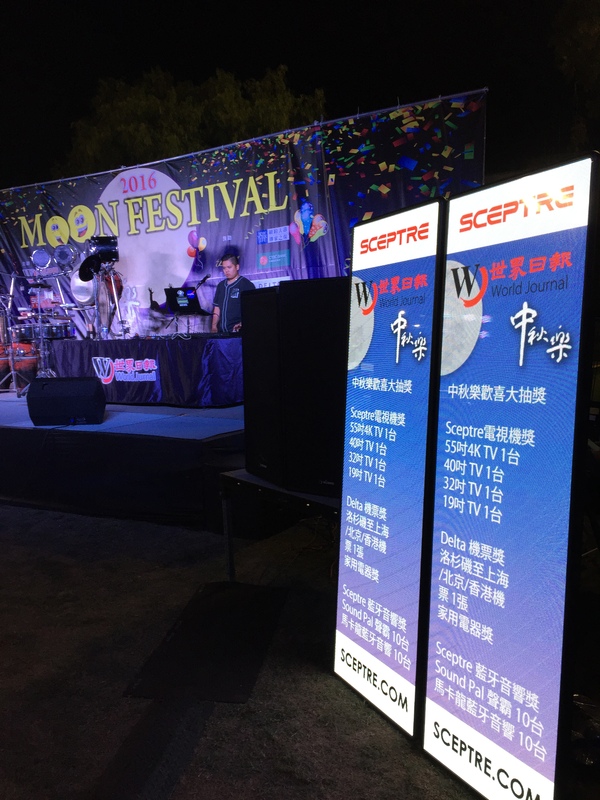 Thank you to all of you who joined Sceptre at the 2016 Moon Festival in Monterey ParK, CA. There was an incredible turnout of contestants and spectators alike! Moon cakes were feasted upon, beer was imbibed, cultures and traditions were shared, and the full moon was a spectacular sight to behold . Sceptre was honored to deliver prizes such as LED TVs, including a 55” 4K UHD, and our Bluetooth speakers, the Sound Pal and McCaron. 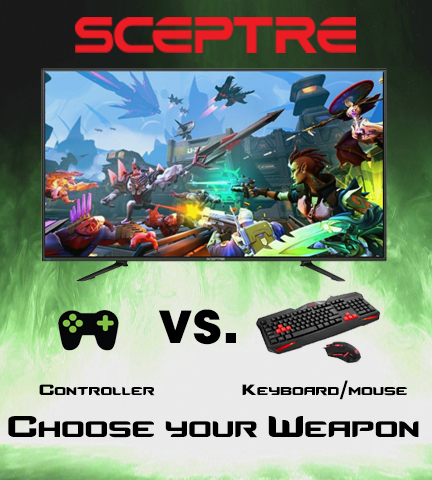 Sceptre’s 144Hz Curved Gaming Monitor also made its debut amid all the excitement. We hope that you all had as much fun as we did!